Meet Skye, our four legged friend who was heading off on her holiday with her owners in one of our campervans. At Addhire we know that the real heart of the family is your four legged friend and often families don’t want to book kennels or ask family and friends for help whilst they go on holiday. 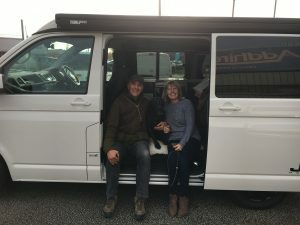 We now hire out selected VW Campervans to our well behaved four legged friends, so you can now take the whole family on holiday! We even supply poo bags, treats, a ball chucker and bowls, so they really feel at home!